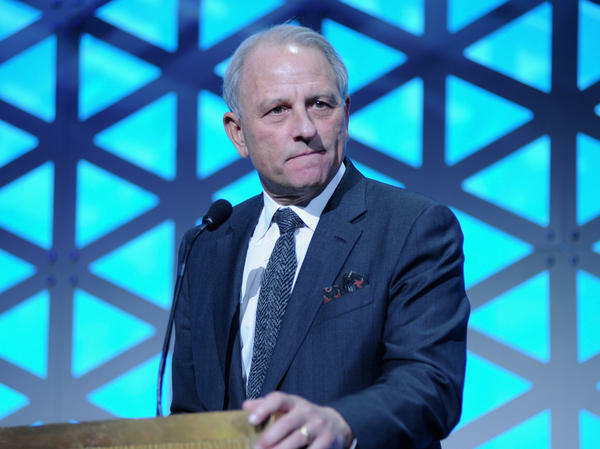 CBS News said Wednesday that 60 Minutes Executive Producer Jeff Fager would be leaving the company, following allegations he had sexually harassed employees. Fager is seen here in May. CBS News says that 60 Minutes Executive Producer Jeff Fager is out of a job. His departure is effective immediately, the company said in a tweet. The announcement comes just days after news that CEO Leslie Moonves was leaving amid multiple allegations of sexual misconduct. In a note to staff, CBS News president David Rhodes wrote that Fager's exit "is not directly related to the allegations surfaced in press reports, which continue to be investigated independently. However, he violated company policy and it is our commitment to uphold those policies at every level." An article by Ronan Farrow in The New Yorker published in late July included allegations that Fager had encouraged a "frat house" atmosphere and ignored complaints about harassment from a number of women, even after CBS had paid financial settlements to three employees of the newsmagazine. A second Farrow article last week alleged that Fager had groped an employee at a company event. CBS News said the company will begin a search for a new executive producer of the program. In a statement to CNN, Fager said his axing "had nothing to do with the false allegations printed in The New Yorker." He said his contract terminated early "because I sent a text message to one of our own CBS reporters demanding that she be fair in covering the story. My language was harsh and, despite the fact that journalists receive harsh demands for fairness all the time, CBS did not like it. One such note should not result in termination after 36 years, but it did." Fager had been at CBS for more than 35 years, and was previously the chairman of CBS News. He became executive producer at 60 Minutes in 2003. In less than a year, CBS has seen its top male morning anchor, CEO and top newsmagazine producer all exit the company after allegations of sexual harassment. Last month the network's board of directors hired two outside law firms to investigate the claims against Moonves and other issues at CBS.